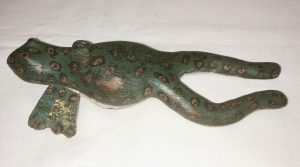 Exceptional Frog Ice Fishing Spearing Decoy. Excellent size, form and painting details. 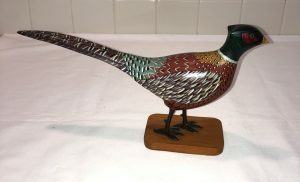 Forked leather tail suggest it may be Western New York State origin. Acquired from an Illinois collection. 7″ long. Fine original condition. A large and heavy catfish ice spearing decoy. 9 1/2″ long. The catfish decoys are not quite as common as the trout, for example. 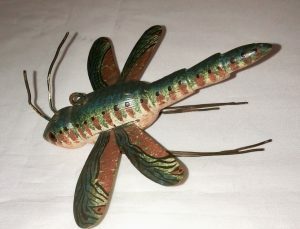 This wonderful Dragon Fly Ice Fishing Lure beautifully painted and has glass eyes.